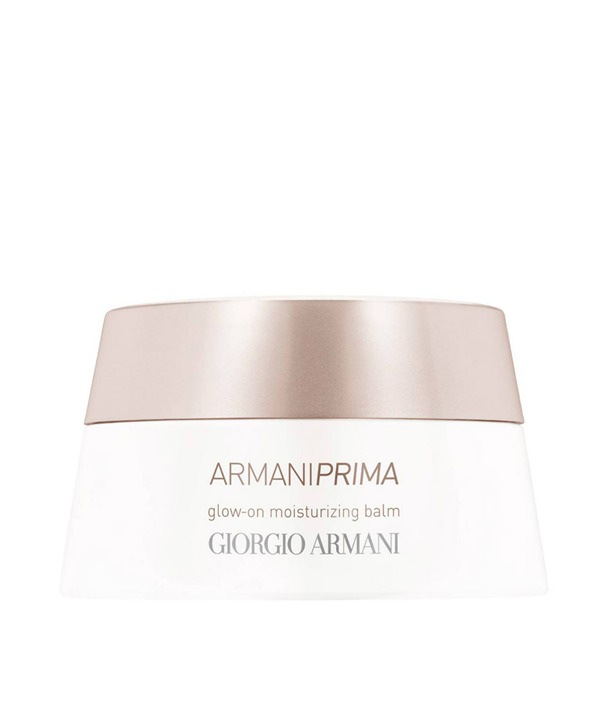 The Glow-on Moisturizing Balm is the cornerstone of the Armani Prima line. It was formulated to help skin achieve a healthy glow through maximum hydration that last 24 hours. Through the use of this face balm, skin is replumped and retextured, creating a flawless canvas for easy makeup application. By the end of the day, foundation looks fresh, as if just applied. After four weeks of using this face moisturizer, fine lines look evened out and overall skin quality is more comfortable, supple and nourished. After Lip & Eye Contour Perfector, apply on face from center outwards, down upwards.